It was my birthday, and I had a bunch of people over for dinner (including my cobloggers!). But what to cook? This recipe was delicious, elegant, and easy to scale up for large amounts of people. Serve these up at your next dinner party, and people will love you! Adapted from Smitten Kitchen, who adapted it from Epicurious. Preheat oven to 350°F. Oil a roasting pan. Bring the broth to a boil in a saucepan, add the couscous, cover the pan and remove it from the heat (or use cooking instructions on your couscous package). 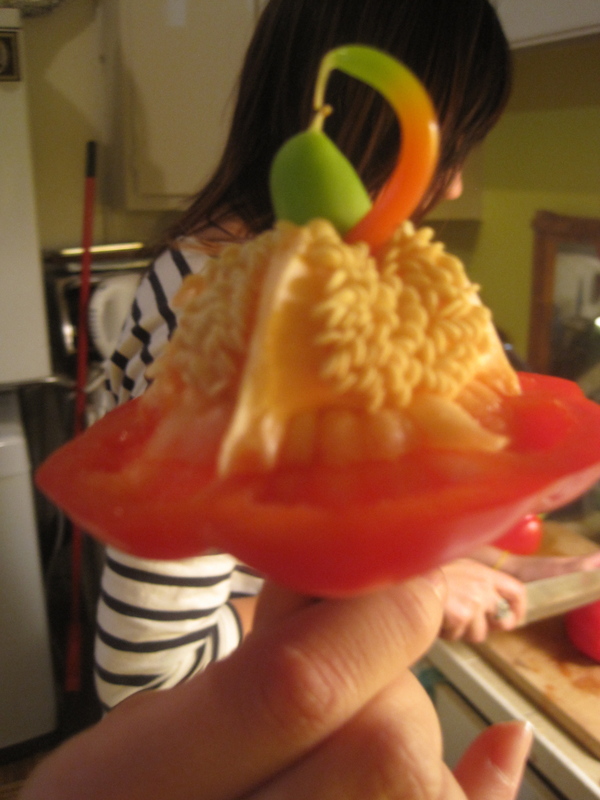 Cut the stems and top half inch off the bell peppers and scoop out the seeds and membranes. Place peppers upright in roasting pan and roast them for 20 minutes or so, until they soften, then remove them from the oven until the filling is ready. Heat oil in a nonstick skillet. Add onion, zucchini, yellow squash, italian seasoning, and salt. Cook, stirring frequently, for 5 minutes or until vegetables are softened. Remove from heat and stir in the tomatoes, chickpeas and tomato paste. Using a fork, scrape the couscous into the skillet and toss with the vegetables. Stir in the crumbled feta and cheddar cheese, reserving a bit to top the peppers with. 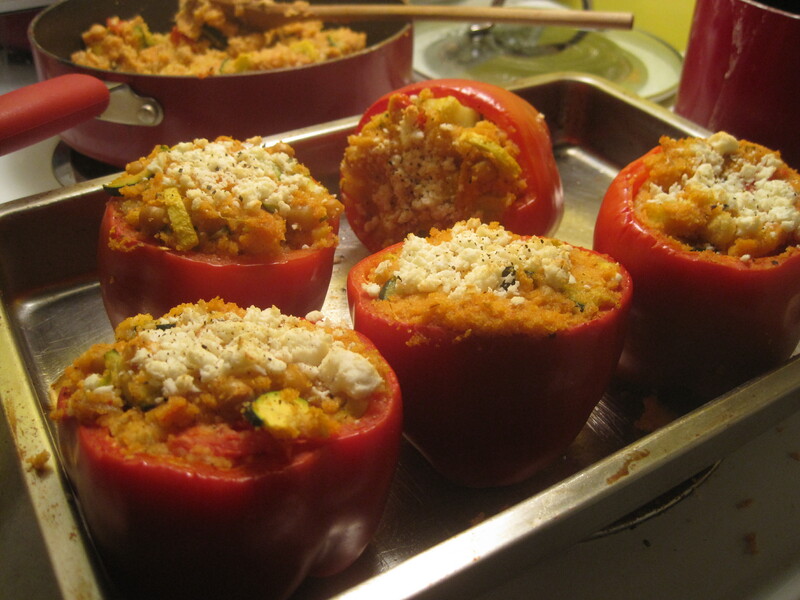 Fill peppers with lots of the couscous mixture. Top with extra cheeses. Bake 15 minutes. Serve immediately.